Length 23-33 mm. glabratum, peregrinator and sponsa are characterized by the presence of setae on the metatrochanters. 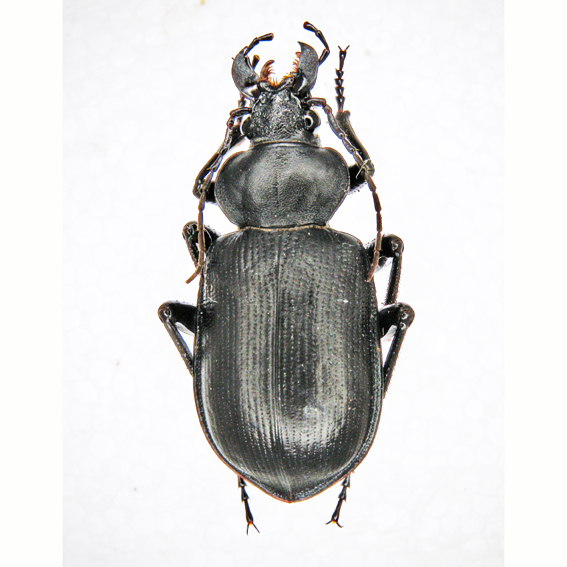 peregrinator is usually larger than glabratum and sponsa but is very variable in size, general body proportions, shape and punctuation of pronotum, presence or absence of weak striae in the elytra. But you can always easily identify it because its last abdominal segment is deeply wrinkled, in the female with erect hair. Jeannel (1940) considered the many forms described superfluous. 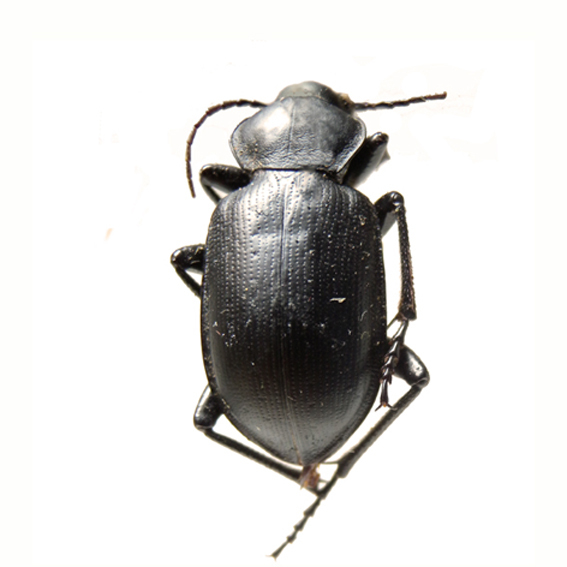 Among them a special case consists of the systematic position of Calosoma forreri Géhin, 1885 that correctly was considered by Breuning (1927: 103) as synonymous with C. peregrinator, but that later Jeannel (1940 : 203), followed by all subsequent authors (Gidaspow, 1959: 252 ; Erwin, 2007: 86), erroneously has attributed to C. angulicolle. C. peregrinator is for sure a variable species. 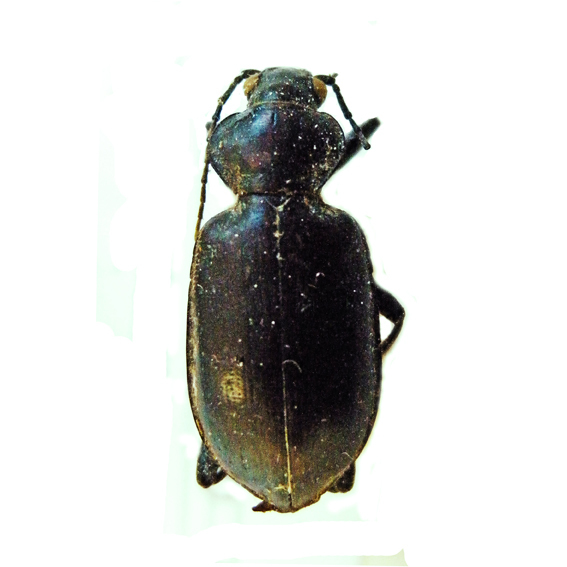 In Mexico, in particular, there are morphological variations ranging from small, very elongated specimens with almost obsolete elytral sculpture (corresponding to the characters given for Calosoma apacheana Casey, 1913), to others with strongly transverse pronotum, short and rounded elytra and punctate striae (in the old collections classified as Calosoma peregrinator amplipenne Casey, 1913). Finally, an extreme case of morphological variation is the one of C. ampliator Bates, 1891 of which the systematic position is still under discussion. 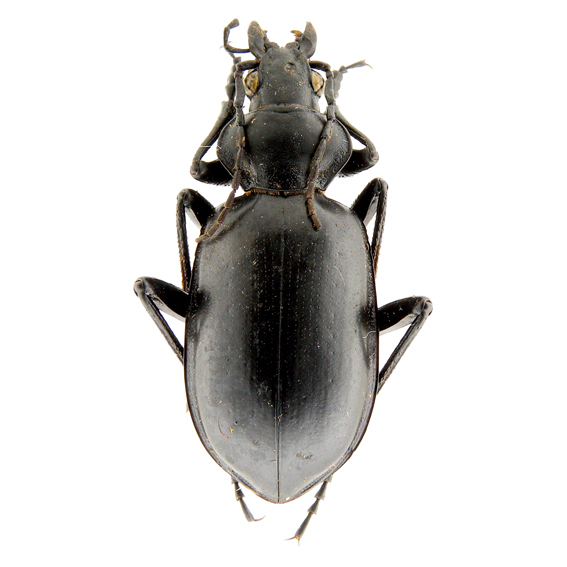 Bates (1891: 223) described the new species by comparing it with C. peregrinator that he considered the species most closely related to it. In the original description he highlighted among other characteristics: the body shape distinctly shorter and broader, the transverse pronotum with strongly rounded sides, the elytra oblong, scarcely widened behind, with finely punctate striae and visible foveae on the primary intervals. Breuning (1926b: 174), reviewing the description of Bates (1891: 223), but apparently without knowing the type, considered C. ampliator as a synonym of C. affine, followed in this by Jeannel (1940: 169). 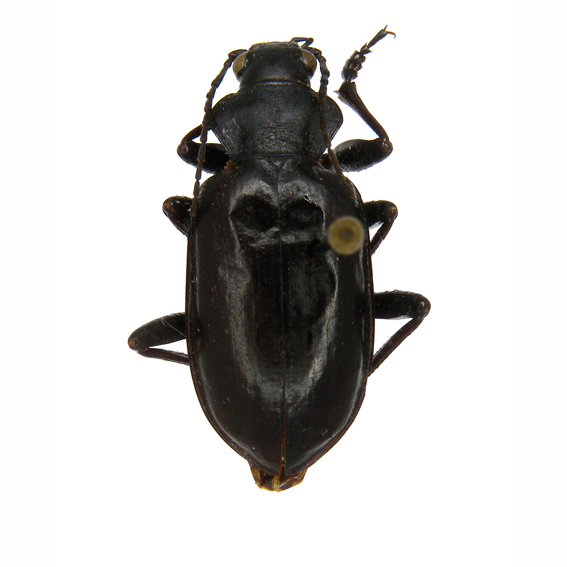 Later Gidaspow (1959: 267) reevaluated C. ampliator as a distinct species inside of the the subgenus Chrysostigma. The Bate's and Gidaspow's descriptions as well as the result of the examination of specimens existing in various collections and classified as C. ampliator, would lead us rather to consider it a species very closely related to C. peregrinator, or better a simple morphotype of it. 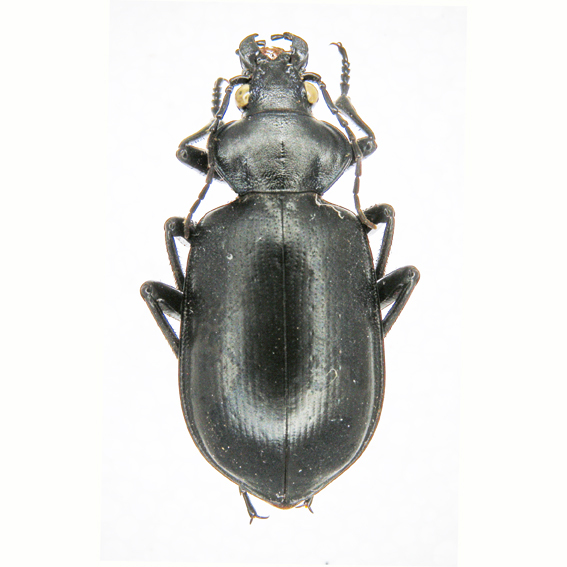 Bates had already stated that the two supposed species coexisted in many places in Mexico and the existence of specimens with intermediate characteristics would favor the second hypothesis. 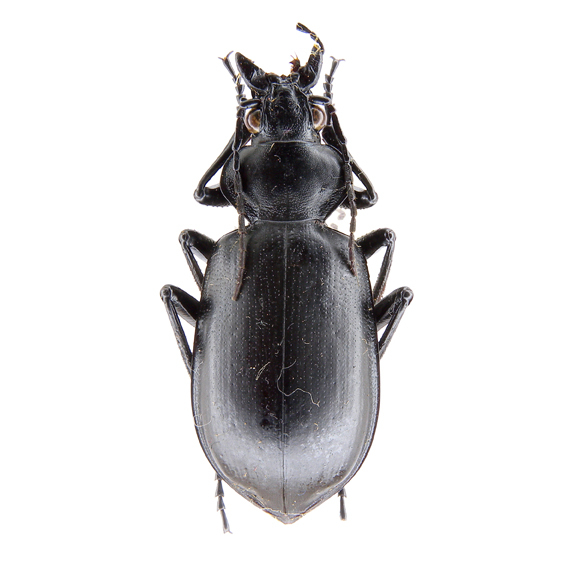 Finally, following its importation as a potential agents of biological control into Hawaii, C. peregrinator have been also cited as part of the entomological fauna of the Islands (http://www2.bishopmuseum.org /HBS/checklist). Notes: Winged, attracted to light at night. Lives on grassland and pastures, from lowlands up to an altitude of 2300m. Occasionally, has been noted climbing tree and feeding on various caterpillar as Peridroma saucia, Malacosoma americanum and Lymantria dispar but probably secure most of its food near the ground (Burgess & Collins, 1917: 75). 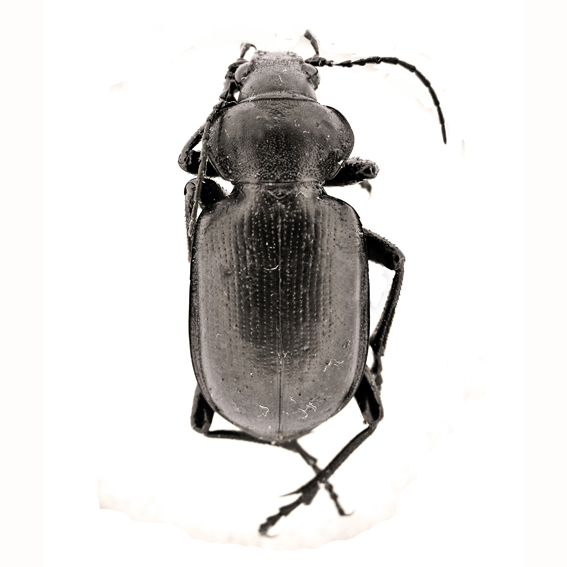 Active individuals have been found from April to September, according to data of the examined material, but also from February to December according to Larochelle & Larivière (2003: 180), and in some areas adults were found overwintering in the soil. Rio Rico, VIII.1973, Lenczy leg.